Westworld Season 2 – All of My Issues! How does the saying go? “Go west, young man?” After the events of Westworld Season 1, that may no longer be the best advice. The first season was a complex story. The story takes place in a future where they have overcome the uncanny valley problem. Resorts are created using this technology to entertain people, and at times, do things that they wouldn’t do in their “real” life. It didn’t completely follow the narrative depicted in the 1973 Westworld starring Yul Brynner. The life-like robots and western setting are there, but the HBO series has more room to breathe. The new series took concepts from the original Sci-Fi film and expanded upon. It brought up many thought provoking concepts. What does it mean to be human? The creators of the show skillfully handled different points of time, and the end of season 1 abruptly brought everything together with explosive results. The new trailer, released by HBO at the SDCC, doesn’t give many clues as to the direction of the new season. 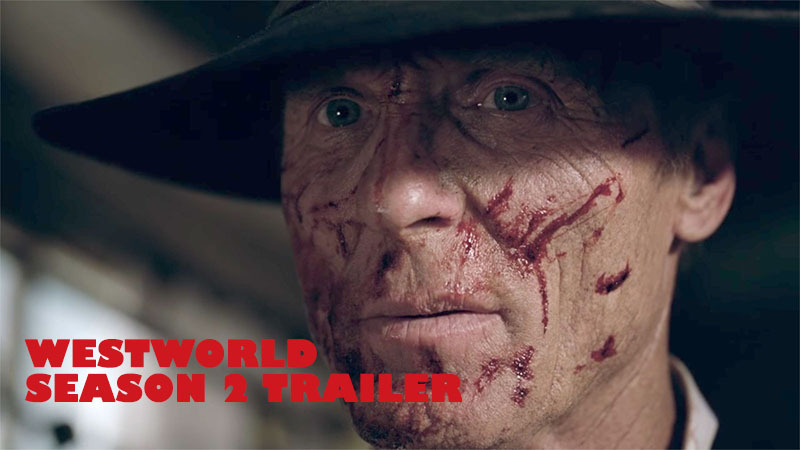 It does make us wonder why Ed Harris is covered with blood. Is it his blood or someone/something else’s? We’ll have to tune in next season to find out. In the meantime, take a look at the trailer and let us know what you think.